I’ve been playing around with my Tahini Chocolate Chip Cookie recipe a lot lately. I’ve added nuts, tried different flour combinations, added halva, and even taken away the chocolate. It’s become a hobby of sorts. I hit the jackpot when I decided to change out the butter for brown butter though. Oh. My. God. The hint of nuttiness you get from the tahini doubles and the finished cookie is more delicious that I even imagined. The smell is intoxicating. I have tired to make the cookies with hot browned butter straight from the pan to the mixer. But found that the hot butter melts the sugar and the finished cookie is a bit too flat for me. My solution was to make brown butter, stick it in the fridge and mix it as it cools down until you have that softened butter consistency you usually use to make cookies. I know it’s a lot. Doing it this way allows for the sugar and butter to cream together properly. It helps incorporate the ingredients better and breaks the sugar crystals up instead of melting them. This helps with the overall structure of the cookie. So don’t take short cuts with this. Trust me, I’ve tried. So I’m late to the game of “cookie cups”. 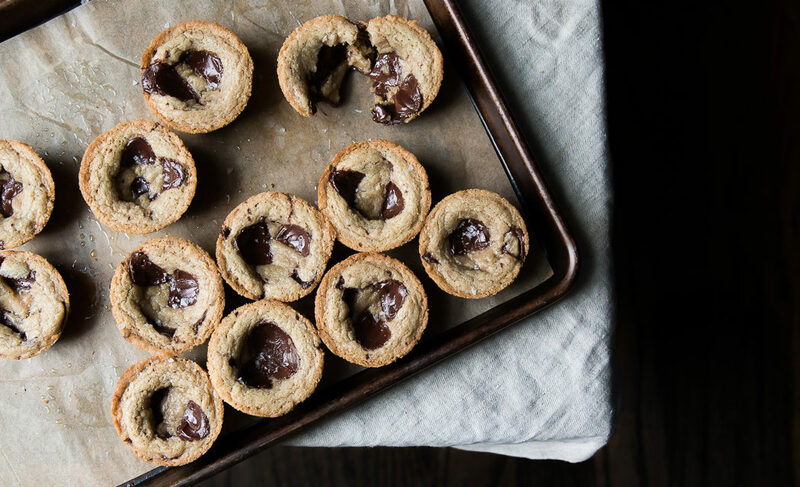 Which really are just cookies that are baked in a muffin tin. It keeps them from spreading so they stay oooey gooey inside. These cookies are packed with chocolate too which pools inside. 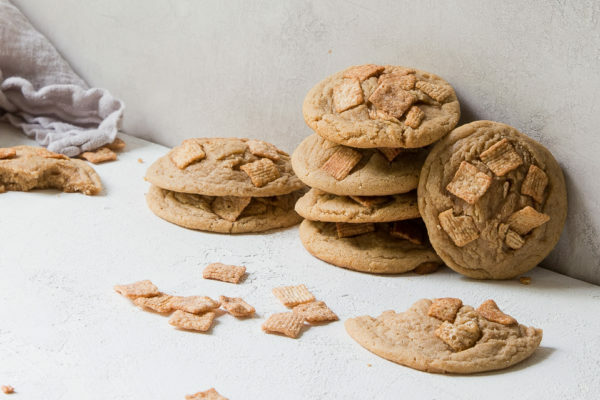 I mean, these are mostly chocolate with a cookie doughy middle and a crispy/crumbly outer shell. It’s heaven. 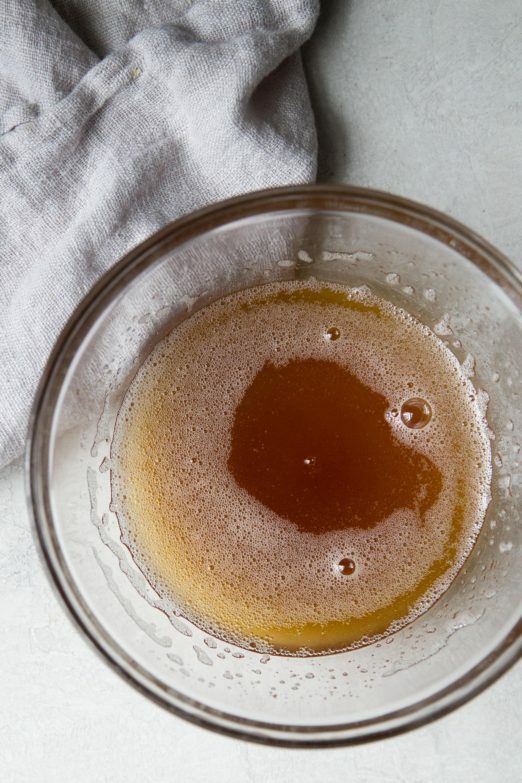 Don’t walk away from the pan while making brown butter. It can go from golden nutty goodness but burnt stinky oil in a matter of seconds. Make sure your muffin tin is non-stick. I did not test these in anything else but a non-stick tin. So try at your own risk! Buy good chocolate. You don’t have to get the most expensive kind. That being said, there is a lot of chocolate in this recipe and you must like the flavor of the chocolate. Taste a piece on it’s own and if you’re eyes aren’t rolling back in your head then don’t use that chocolate. 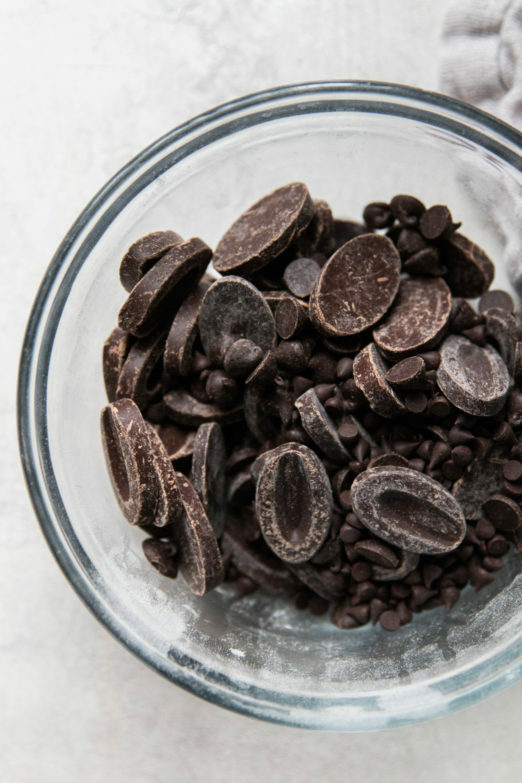 Use different size chips and chunks to disperse the chocolate throughout the cookies but always include big chunks or huge feves for those chocolate pools. I used mini dark chocolate chips, regular sized semi-sweet chips, and 2 kinds of Valrhona feves. More on chocolate: To make them extra pretty, after scooping out the cookie dough, break some large pieces of chocolate up and stick them on top of each ball. This is how you get that beautiful pool of chocolate. These will cave in after they cool. But it’s a perfect spot for a ball of ice cream if you ask me. 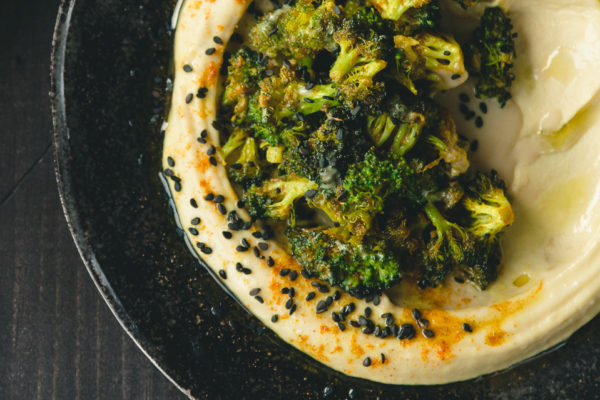 Use delicious tahini. You want to taste this on it’s own and if it’s too bitter, don’t use it. 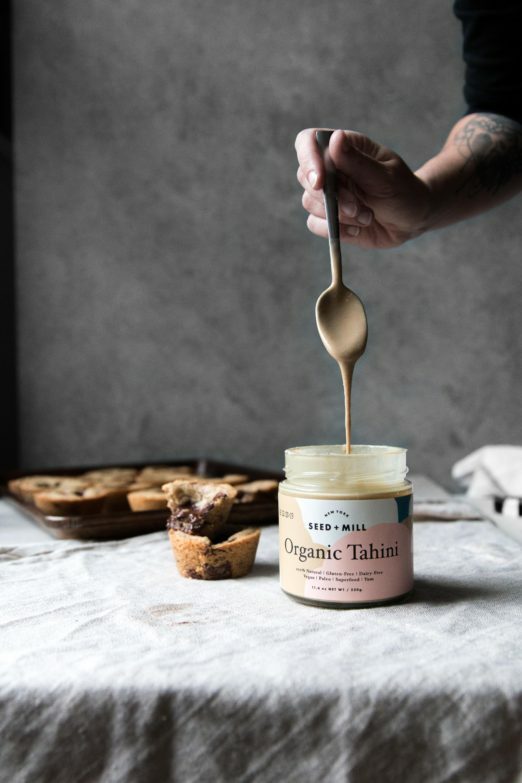 I use Seed + Mill Tahini and it’s perfect. Melt the 2 sticks of butter in a small skillet over medium heat. Cook while stirring until butter foams, then subsides to a gentle bubble. Continue cooking until the butter smells very nutty and the milk solids turn golden brown, about 8 minutes. Stay there and babysit the butter! Immediately transfer the butter to a heatproof bowl. Chill in the fridge until it begins to solidify, stirring every so often, about 25-35 minutes. Weigh the browned butter, it should be about 175-180 g (just over ¾ cup). If you have less, add enough room temperature unsalted butter to get there. In the bowl of an electric mixer fitted with paddle attachment, cream the browned butter (which should be malleable and not very cold) and sugar together on medium speed until light in color and fluffy, about 5 minutes. 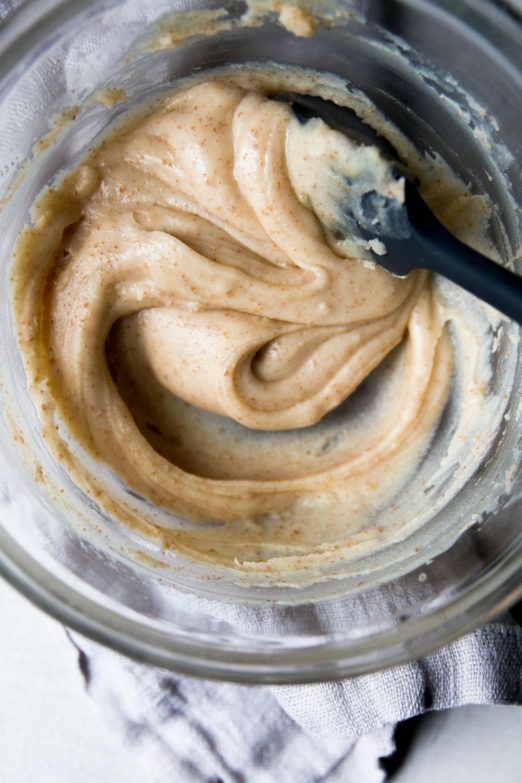 Add the tahini, eggs, egg yolk, and vanilla extract and continue mixing on medium speed for another 2 minutes, scraping down the sides every so often to be sure everything is incorporated. 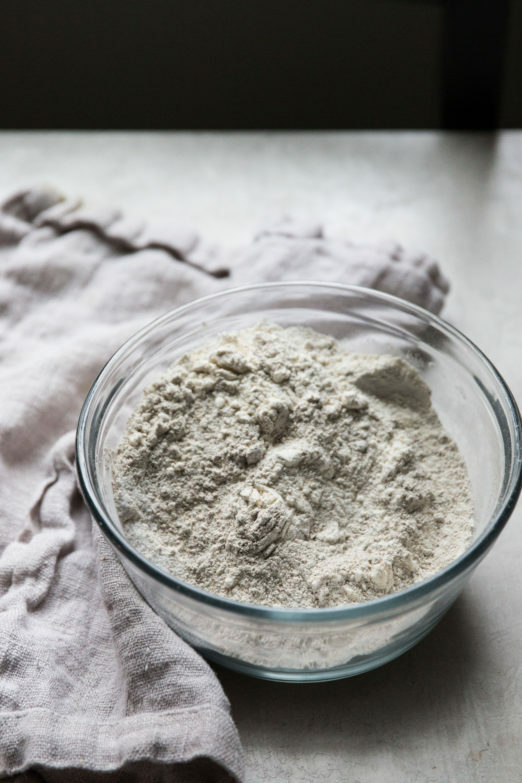 Combine the AP flour, rye flour, baking soda, baking powder, and salt in a large bowl. Add to the mixer and combine on low until just combined. Add the chocolates and mix them in by hand with a rubber spatula. Line a baking sheet with parchment paper. Using a 2-ounce (60ml) capacity ice cream disher (scoop with release), scoop out 18 dough balls and place them on the baking sheet. Break large pieces of chocolate and top each cookie dough ball that looks like it might be lacking some chocolate on the outside. Wrap the baking sheet with plastic wrap and place it in the freezer for no less than 12 hours. This will allow the glutens in the flour to relax and will give you a tender soft cookie. Do not skip this step. 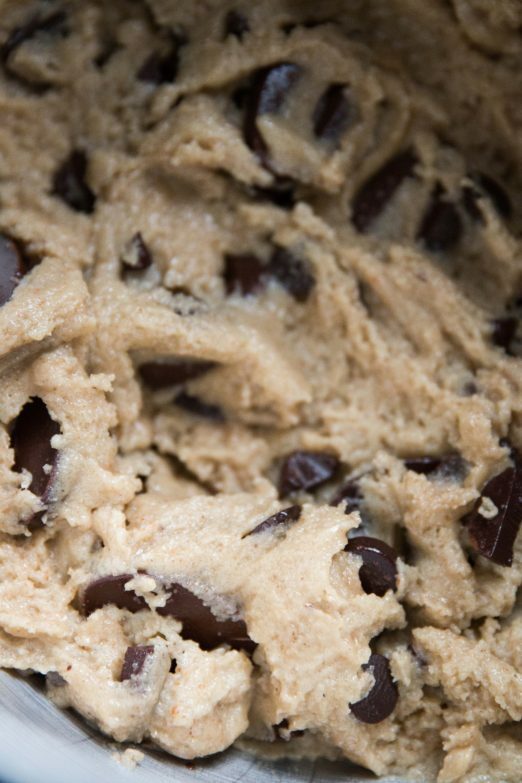 Cookie dough will keep in a ziplock bag in the freezer for up to 6 months. Bake them off as needed! Pre-heat the oven to 325˚F (160˚C). 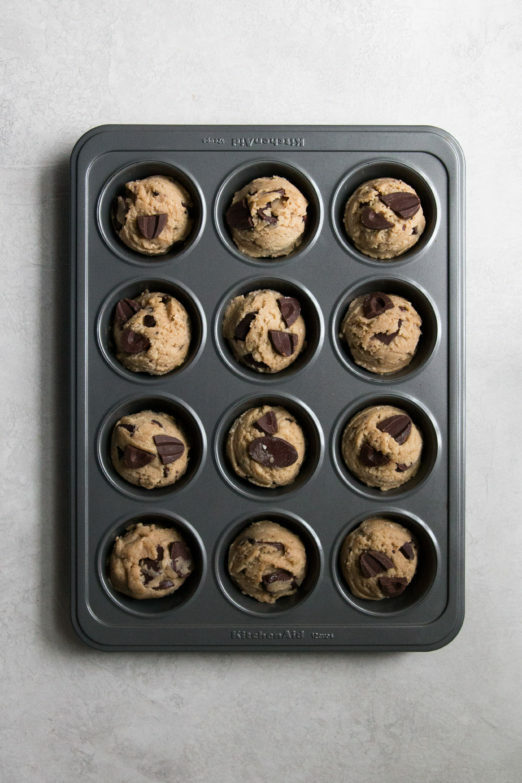 Place a cookie dough ball into each cup of a non-stick muffin tin. Bake for 15-17 minutes until just golden brown around the edges. They will still look fairly unbaked in the middle. 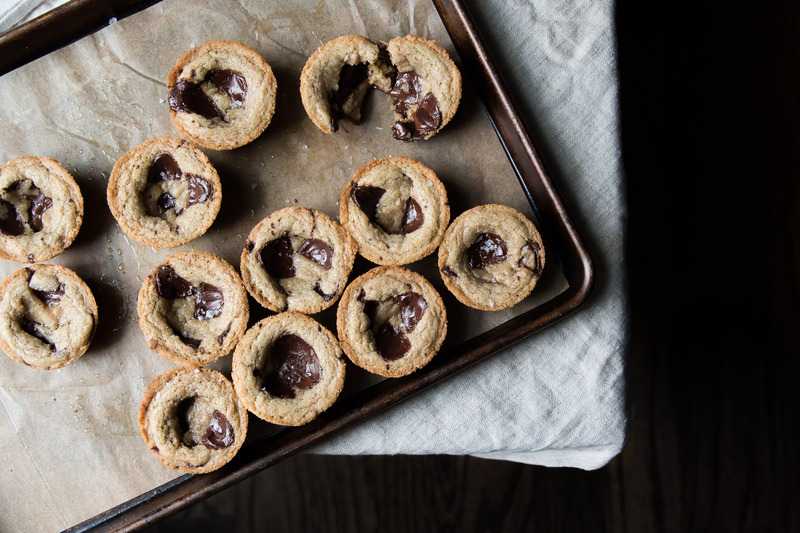 Sprinkle each cookie cup with Maldon Sea Salt when they come out of the oven. Cool for at least 20 minutes before using a small offset spatula (or butter knife) to transfer the cookie cups to a cooking rack. these. are. everything. what are your thoughts about doing them in mini muffin cups? 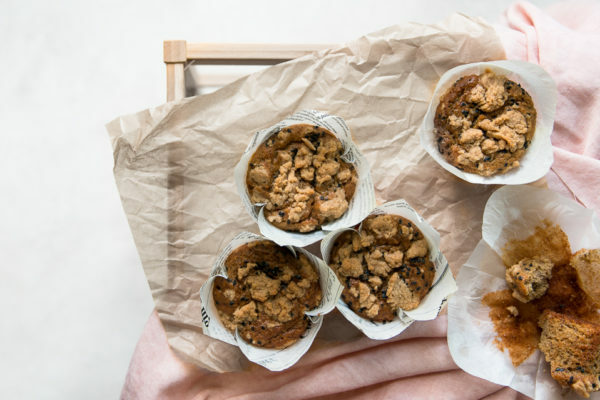 All the yes to the mini muffin cups. Thanks for sharing those on instagram! Funny question: how long can dough hang out in fridge? Aka if I make dough tonight can I leave them in there until baking on Thursday (sigh..yes Valentine’s Day). I feel like I should know this but normally waiting 1 day is hard enough!! TOTALLY! 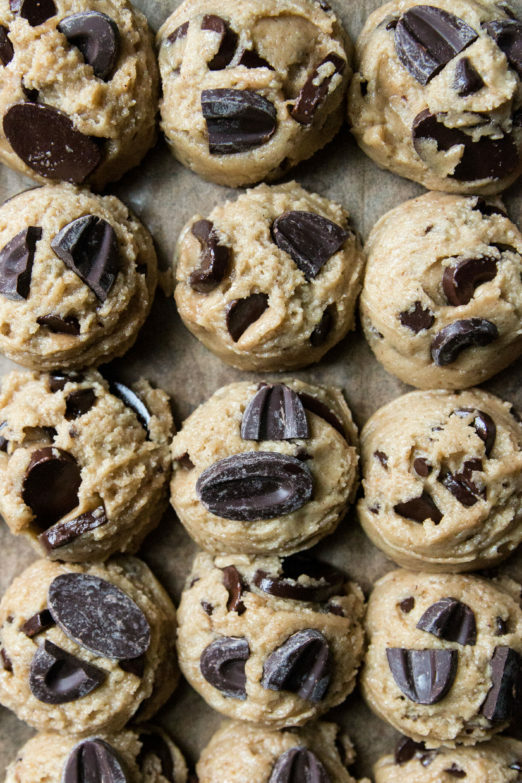 I put my cookie dough balls in ziplock bags and in the freezer for up to 6 months! They can also hang in ziplock bags in the fridge for a week for sure. 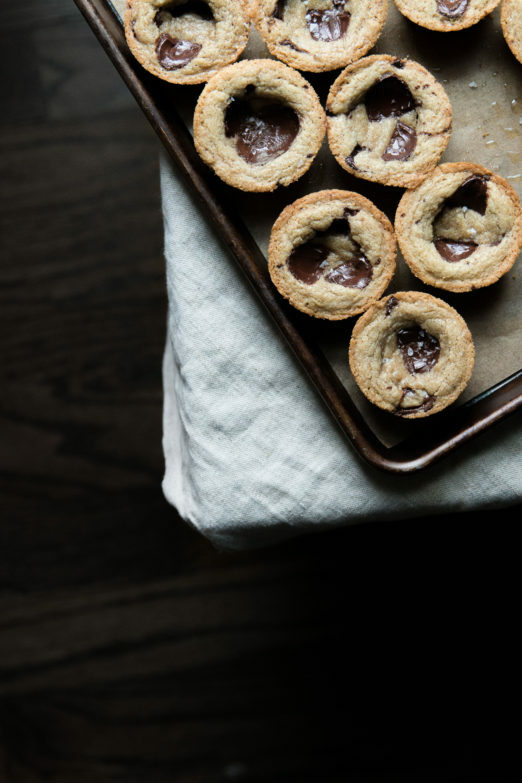 Cookies are always the best the day you bake them. But you can absolutely bake them and keep them in an airtight container or ziplock bag at room temperature if you want make them the day before! I hope your co-workers like them!! I am dying to make these! If I were going to bake these as cookies, what would be an approximate bake time? Yes!! Make em!! I would bake them at 325˚F for anywhere from 12-16 minutes. Really depends on how you like their doneness. Have you played around with different styles of flavor with these? Not sure I’ll be able to get my hands on Rye flour – would to sub it or just recommend using all AP? Hey Nikki! I haven’t had a chance to test that. I think you can give it a shot substituting the amount of Rye flour with AP. Let me know how it goes if you give it a shot! The taste and texture will be different but delicious non the less. Hey Emily! The rye gives a texture and flavor to the cookies that you won’t get by substituting AP or whole wheat but the cookie will be tasty no matter what! I’d give AP a shot before whole wheat. Let me know how it goes! Can the flour be substituteed with gluten free flour? Hey Daniel! I have’t tested it but if you’re using a gluten free flour that can be substituted 1:1 with AP flour then it should work! 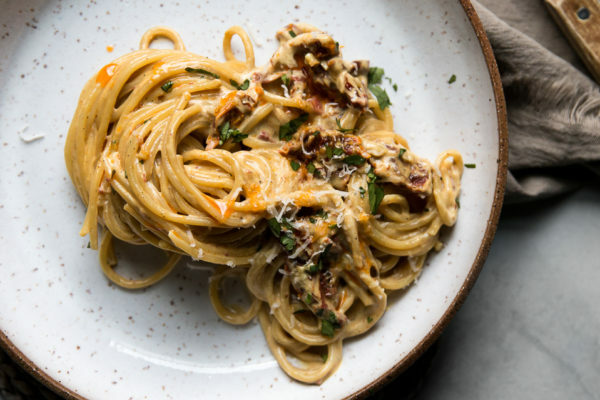 In general, should I go by grams for your recipes? A cup of sugar is 200 grams, so I’m wondering if it should say 1 and 1/2 cups sugar or 267 grams sugar? Hey Lu! Generally, my gram measurements are what I’m hoping you’ll go by since it’s a lot more accurate. I may have used a weird conversion but in my notes 300g of sugar ended up being about 1 1/3 cup plus 1.5 tbsp. My measuring may be a bit heavier since I have 1 cup of sugar as 213g. Hope that helps! Do the cookies go straight into oven from freezer ? I made these and they’re absolutely delicious but I’m having to bake more than 20mins and they still fall apart slightly when I take them out of the muffin tins. 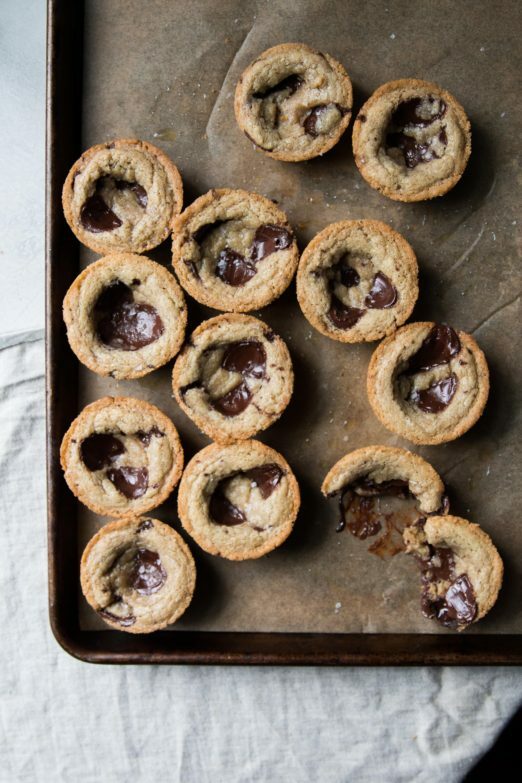 There’s no way I could get away with the same ooey gooey center because they’d fall apart before getting them out. Definitely letting them cool 20min+ too. Any thoughts on this? Thanks in advance! 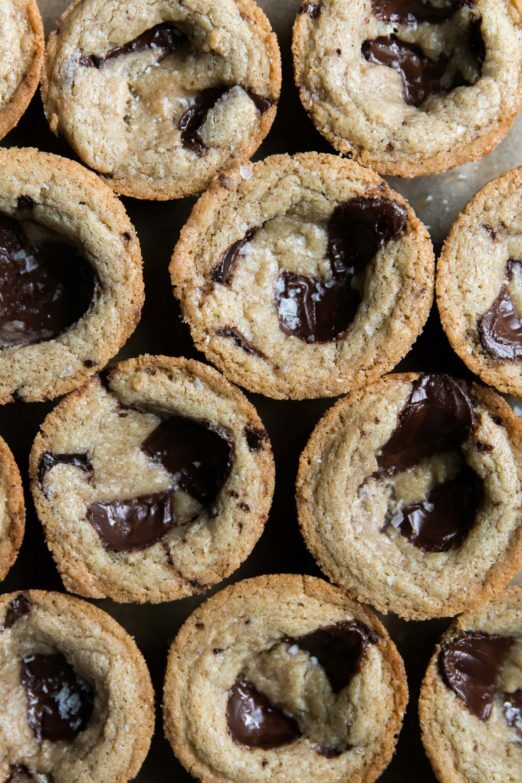 Hmmmm… Are the edges of the cookie cups becoming golden brown? And what tool are you using to get them out of the tin? You can always bake them in paper muffin cups!